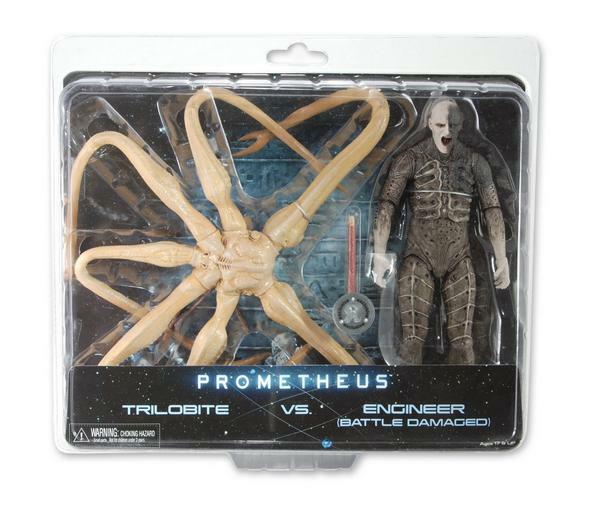 Coming Soon: Prometheus Battle Damaged Engineer vs. Trilobite 2-Pack is Toys ‘R’ Us Exclusive! You are here: NECAOnline.com » Blog » TRU Exclusives » Coming Soon: Prometheus Battle Damaged Engineer vs. Trilobite 2-Pack is Toys ‘R’ Us Exclusive! 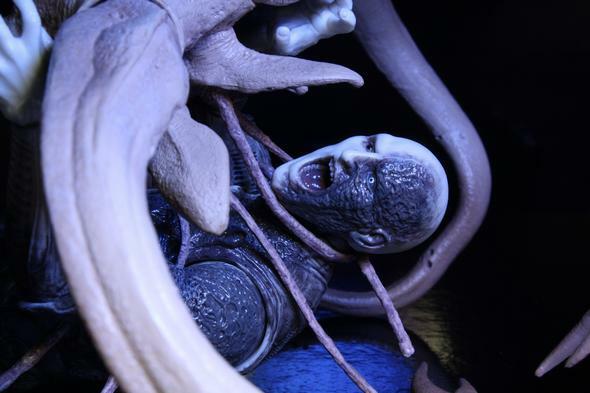 Prometheus was one of this summer’s biggest hits, and now Ridley Scott’s return to sci-fi gets even better with this Toys ‘R’ Us Exclusive Battle Damaged Engineer vs. Trilobite Action Figure 2-Pack! 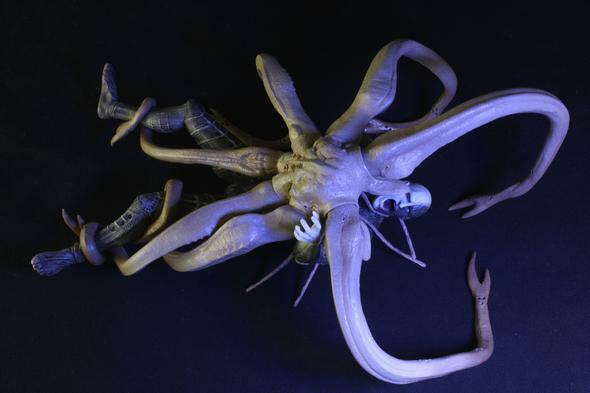 We’re creating a bit of a mythology of our own with all of these Toys ‘R’ Us Exclusives we’ve been revealing the last couple weeks, but even we have to admit that pales in comparison to the scope of Prometheus! 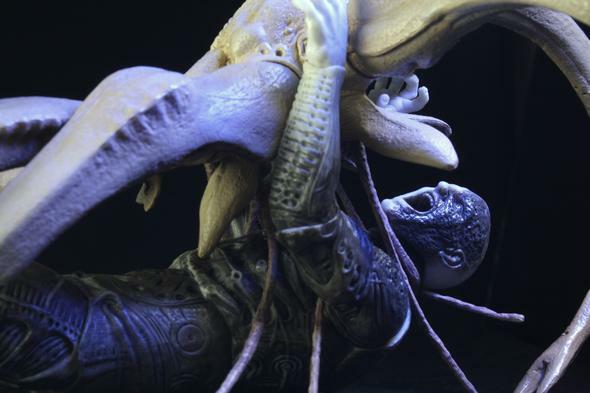 The summer’s biggest sci-fi blockbuster and Alien prequel may have asked more questions than it answered, but all the better for the next movie! Our Prometheus Series 1 7″ action figures were also a huge hit, though less mysterious, and we’re thrilled to follow up with this 2-pack! Oh what fun you can have with a camera and some awesome action figures! Direct from one of the summer’s most talked about films comes this exclusive 2 pack featuring the Trilobite vs the Battle Damaged Engineer. 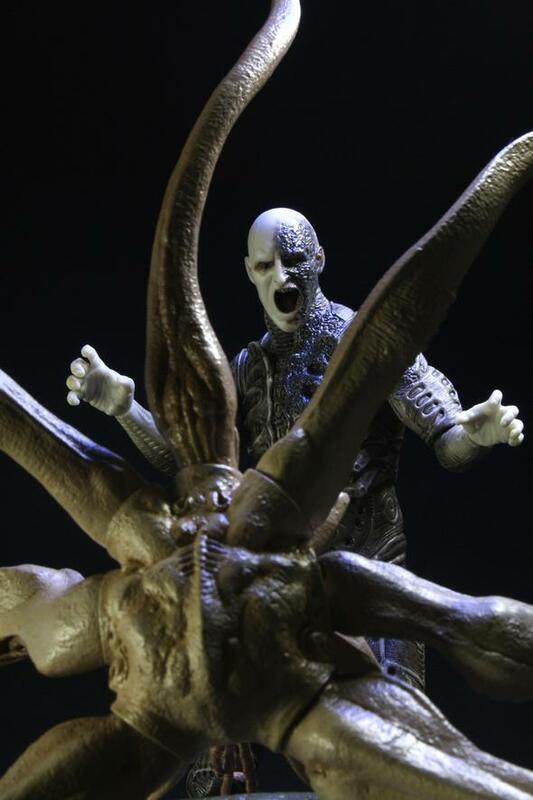 The Trilobite is a massive tentacled creature that features bendable legs to envelop its victim. 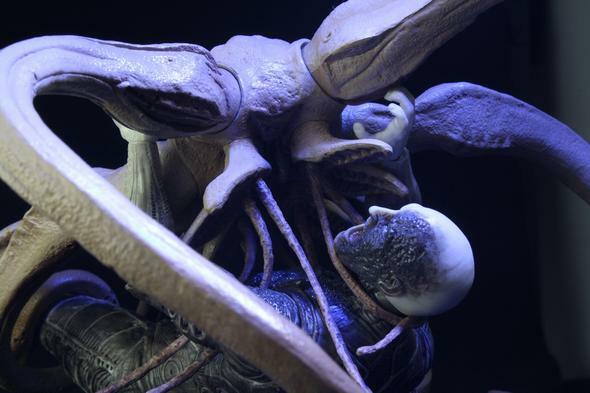 In this case that victim is the Engineer, featuring newly sculpted pieces and new deco to recreate its appearance while in combat with the Trilobite. 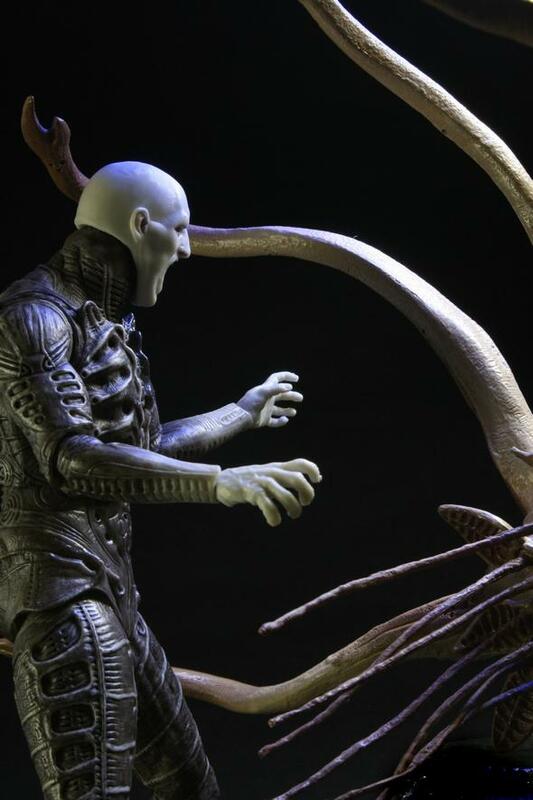 The Engineer stands nearly 9″ tall and features over 20 points of articulation. 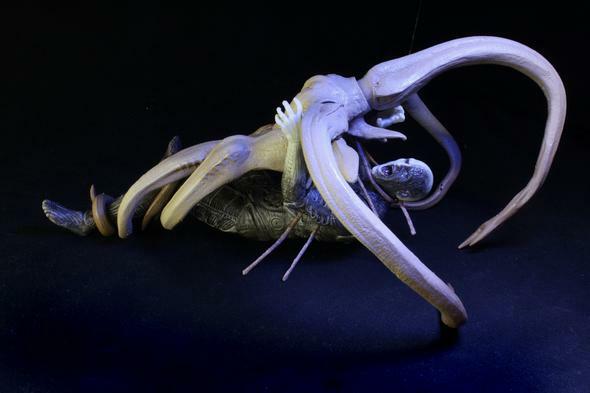 The Trilobite spans almost 17″ from end to end and features ball-jointed and bendable tentacles! And You Thought We Were Done? What goes down chimneys and shouldn’t eat after midnight? Find out on Monday when we reveal a special surprise to wrap up our Fall 2012 Toys ‘R’ Us Exclusives! Don’t forget to let us know what you think of the Prometheus Battle Damaged Engineer vs. Trilobite 2-Pack and send us your own pictures on Facebook, Twitter or G+! Toys R Us Exclusive: Pre-Order Pacific Rim Anteverse Gipsy Danger! 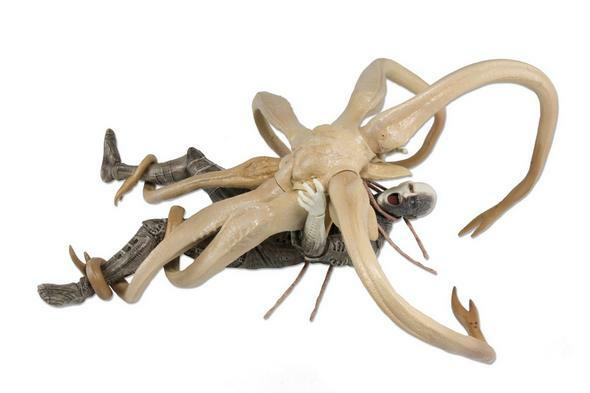 All the Details on the Alien Day Exclusive Kenner Tribute Ripley Action Figure! Complete Details on NECA’s Fall 2016 Toys R Us Exclusive Action Figures!